Courtesy of Wanda Smith & Associates. Wow! Country living at its best…lovely home, lots of land, lots of storage. 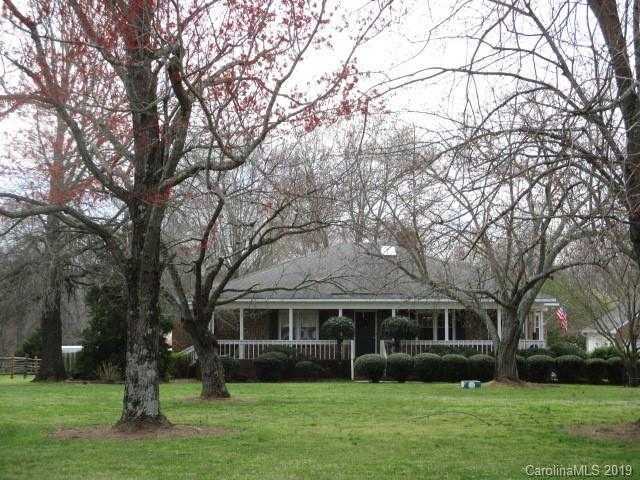 Spacious home on 4.47 acres with detached garage, barn, and 2 storage buildings! Master on main, along with a secondary bedroom. Two full baths on main. Third bedroom and third full bath on upper level with loft area. Two fireplaces, Living Room & Great Room. Gas logs, one is stone wall wood-burning converted to gas logs. Brick exterior with wraparound country porch! Fenced pasture, perfect for horses. Half of detached 2 car garage is heated/cooled (not counted in HLA) with tiled floor, lots of potential for many uses. Seller will provide HOW with acceptable offer. Please, send me more information on this property: MLS# 3458934 – $499,000 – 5006 Winding Lane, Indian Trail, NC 28079. I would like to schedule a showing appointment for this property: MLS# 3458934 – $499,000 – 5006 Winding Lane, Indian Trail, NC 28079.